Good news that on March 22, 2017 we completed a permanent conservation easement on ~30 acres of restored prairie and prime farmland as part of our long-standing partnership with the Town of Dunn. The property is part of a more than 2000-acre contiguous block of private and public conservation lands just 4 miles from the capitol. This achievement is thanks to the conservation-minded farmers in the Town of Dunn and 20 years of dedicated work by the citizens and leaders of the Town of Dunn, with us at their side the whole way. 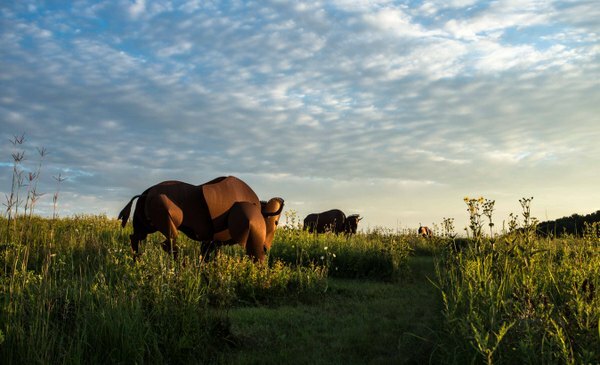 The landowners, Don Schmidt and Carole Becker-Schmidt, have lovingly restored about half of the property to tall-grass prairie and, through Don's artistic talents, have adorned it with a wonderful family of metal bison. Watch a one minute video with Don and Carole. Financial assistance to purchase the permanent conservation easement came from the residents of the Town of Dunn and the Natural Resource Conservation Service's Agricultural Conservation Easement Program. Our thanks goes to Don and Carole Schmidt and to you and the many other supporters of Groundswell who make projects like this possible. Groundswell does not share e-mail addresses. 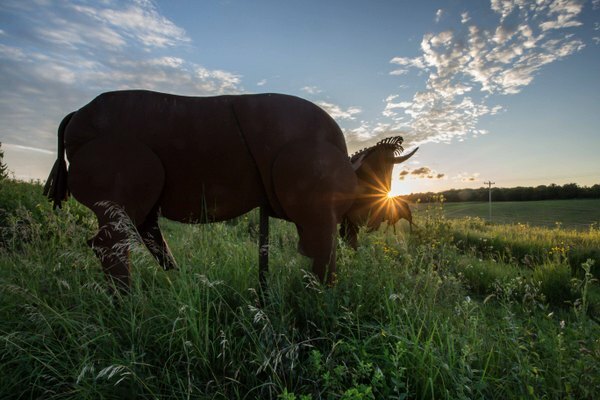 Groundswell Conservancy protects special places, forever, in and around Dane County, WI.